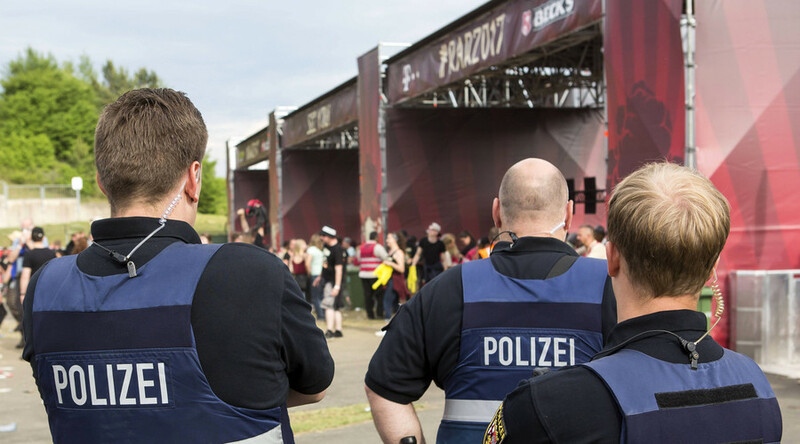 Up to 87,000 festivalgoers have evacuated from Rock am Ring music festival held near Nürburg, Germany, after police received information of a “concrete” terrorist threat. “We hope that the festival will continue tomorrow. Thank you for your cooperation,” the statement added. In a separate statement, local police said that “investigations are currently under way” regarding “concrete indications, which cannot exclude a possible terrorist threat.” In the wake of a recent attack at a music concert in Manchester, all precautions are being taken for the event, with 1,200 police officers already deployed at the scene. Sie müssen gehen weil andere gekommen sind. The Rock am Ring festival, which was due to run until Sunday, is an annual event held at the Nürburgring arena near the historic city of Nürburg focused mainly on rock and metal music. This year’s line-up was to feature 85 different bands over four stages, including Rammstein and System Of A Down. In the past the biggest danger to fan’s health and lives was the weather – over 70 people were injured and 42 sent to hospital after the event was hit by lightening strikes last year. None of the injuries, however, were life-threatening. Last year Germany experienced its first major Islamist terrorist attack, when Islamic State (IS, formerly ISIS/ISIL) terrorist Anis Amri deliberately drove a truck into a Berlin Christmas market, killing 12 civilians.